A boss's marriage of convenience for his daughter's sake. 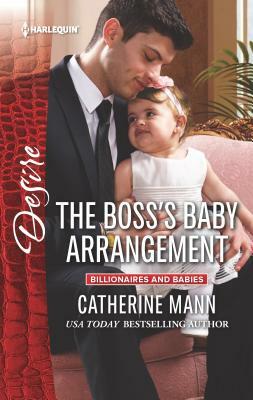 Only from USA TODAY bestselling author Catherine Mann Widower Xander Lourdes will do anything for his toddler daughter. But in a high-profile custody battle, his millions only go so far. What he really needs is a wife, in name only. And he has just the woman in mind...if only he weren't so drawn to the beautiful redhead Zoologist Maureen Burke is still reeling from a painful past, but her boss's proposal comes just as her work visa is expiring. If they're not careful, the heat between her and Xander may destroy the no-strings situation they're both counting on.